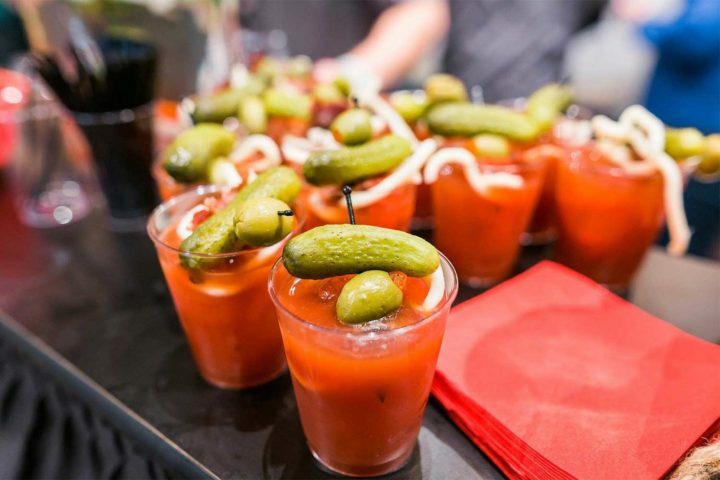 Consider the burger, the O.G. of comfort foods. The components are simple — beef, bun, toppings — but preparing them correctly and putting them in the right combination will make a burger transcendent. 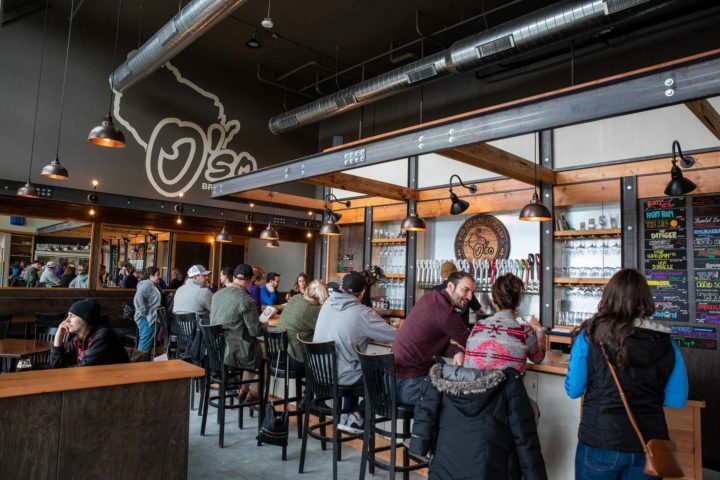 There’s no shortage of great burgers in Madison, but which of them reigns supreme? 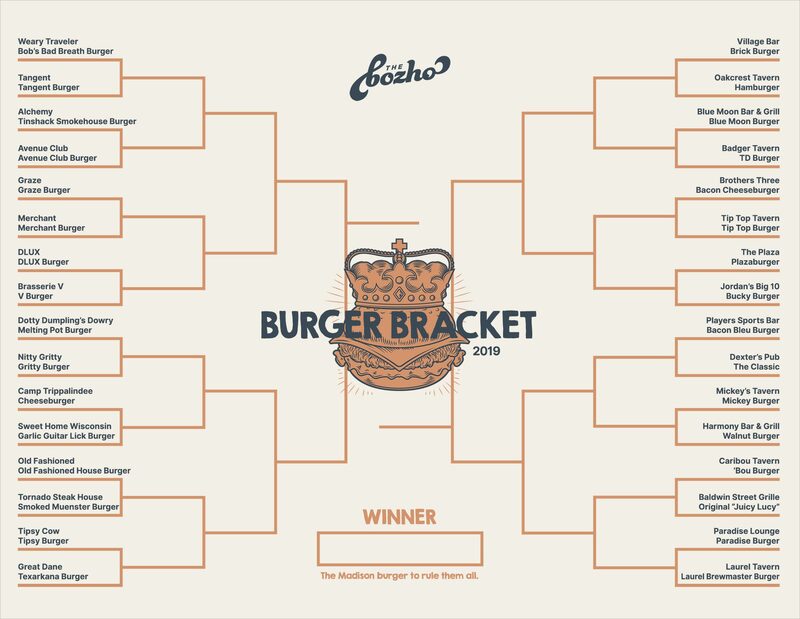 The Bozho wants to find our city’s best burger, but we need your help. 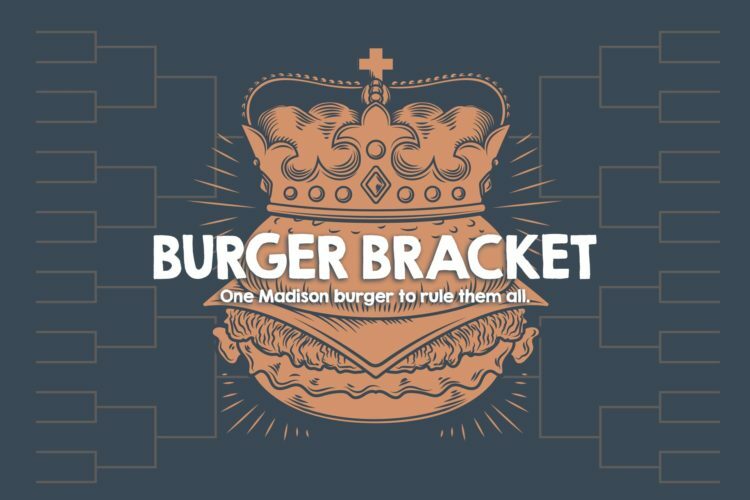 We’ve arranged a competition bracket — like the NCAA tourney, but edible — made up of 32 of our favorite burger spots in Madison. In the coming days, you’ll be able to vote for your favorites until just one champion remains. The Round of 32 starts immediately and runs through this weekend. New rounds will begin on Mondays and Thursdays until the winner is announced on April 8. Your votes will determine who moves on, unless we notice something fishy with the voting, in which case we’ll step in. No one likes fishy burgs, so no bots allowed. You can see the initial field here. And vote here.